We have a team of highly trained appliance repair licensed technicians! Our highly skilled, licensed technicians are factory trained and certified to repair all brands of appliances. We are factory trained and certified in all the major brands of appliances. We do refrigerator repair, washer repair, dryer repair, dishwasher repair, stove and range repair, oven repair, steam oven repair, microwave repair, freezer repair, ice maker repair, barbecue repair, pizza oven repair, patio heater repair and many other appliance repair services. Call us to get a convenient, fast and reasonably priced service. We will make sure to do the job right for you. In fact, with us, you get top quality repair experts to work on your expensive equipment. Often those appliances cost thousands of dollars. 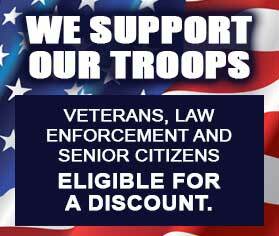 We can make sure that they are well taken care of. Our licensed technicians will find the right diagnoses, will order genuine parts and will expertly install those parts. They will make sure to test your appliances before handing it back to you. After an appointment with our team, your kitchen appliances will be not only functional but also clean and safe. Oregon Appliance Repair licensed professionals have the following certifications offered through different professional organizations. We continuously work with appliance manufacturers on keeping our licensed technicians up to date. Here are some brands who provide Manufacturer-Sponsored Training for us: Asko, Bosch, DCS, Electrolux, Fisher & Paykel, Frigidare, GE, LG, Miele, Perlick, Samsung, Siemens, Dacor, KitchenAid, Sub-Zero, Thermador, Traulsen, True, Viking, Whirlpool, and Wolf. 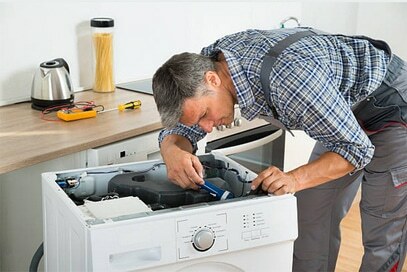 This helps our technicians to be well well versed in both kitchen appliance repair as well as a washer and dryer repair. When you use our company, you can be sure that you are getting the most technologically savvy, knowledgeable and professional team of people. There is not a brand or a model of appliance that they do not know how to fix. 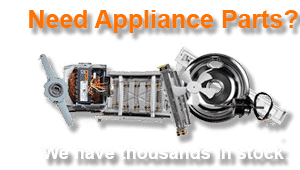 Oregon Appliance Repair licensed technicians are equally good with older appliances and brand new high-end models as well as European brands. Our team works fast and is very detail oreanted. We make sure that whatever we do we do it properly and with longevity in mind. No job is too big or complicated for our team. Besides having amazing skills and knowledge, our licensed technicians are also very friendly, hard working and ready to help. They respect our clients. They make sure to be always on time and well prepared. Our technical team will make sure your appliance repair appoinment is fast and convinet. They will also share with your some useful tips on how to keep your appalices in great shape. To reach our team of licensed technicians please call us at 541-948-8835 or fill out our short contact form. We will be happy to set up a convenient appointment for you. We will make sure to exceed your expectations in every way possible. We serve the area of Bend, Oregon as well as Deschutes River Woods, Redmond, Three Rivers, Sisters, Terrebonne, Terrebonne, and Prineville. Our highly skilled, licensed technicians are factory trained and certified to repair all brands of more appliances. We are factory trained and certified in all the major brands of appliances.